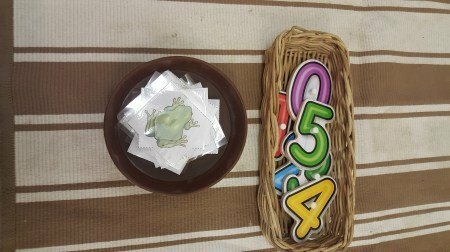 Currently, in the playgroup, we have an ongoing unit about garden’s animals, bugs and all about Spring and this week, it was all about frogs. While researching for the subject, I checked if it was illegal to collect frogspawns. 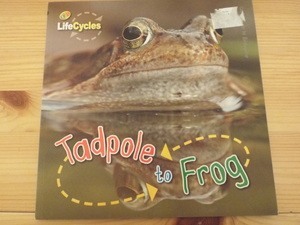 While you can still take home some tadpoles and observe them in your own pond/bucket/tank, it’s much better to encourage your children to observe in situ. 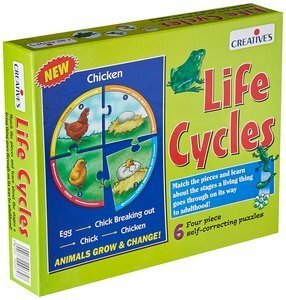 The frog life website is a gold mine of information with learning resources and a shop. It also told me that frogs number have decrease by 68% over the last 30 years! 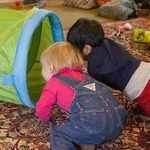 Note that I introduce an unit in the playgroup to bring in some variety and to give new ideas to the parents. The unit is presented along other Montessori activities that the children can enjoy every week. At home, I used to have an unit if my children were showing an interest for something in particular. 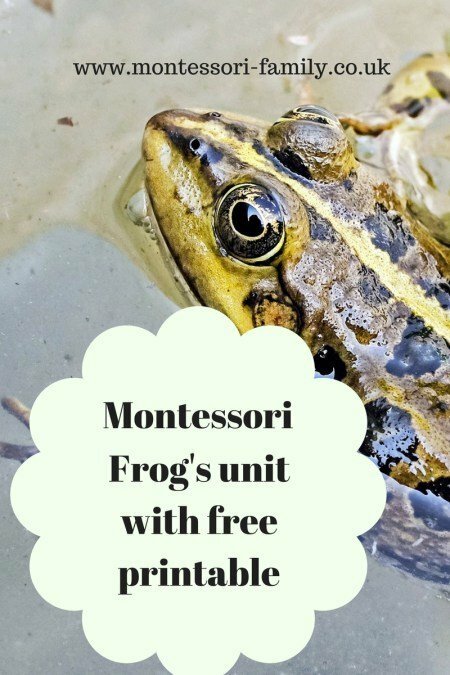 The units in the playgroup follow the seasons + some popular topics such as transports and dinosaurs as for sure, some children will engage totally with those subjects. We have a part of the frog jigsaw. This one is from Absorbent minds. I bought a set of 6 with a storage unit. 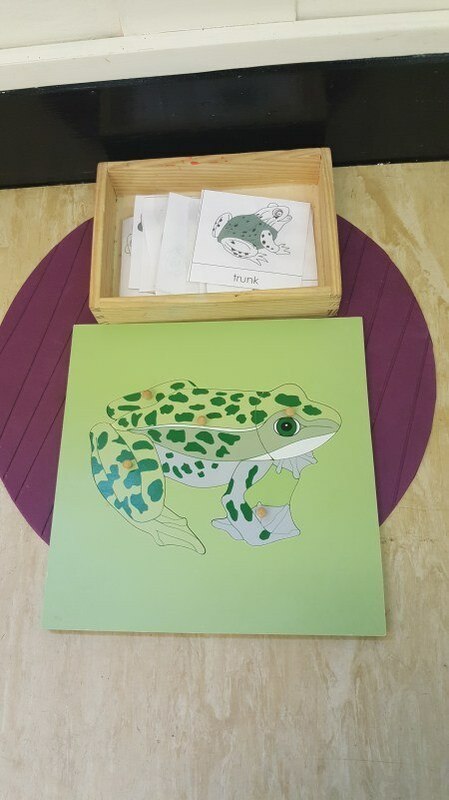 I added the part of the frogs printable from the Montessori shop. Note that for the toddlers, I only use it as a matching game at first. If I have some older children, they might start to be interested by the words too. This memo game came from the Montessori print shop too. 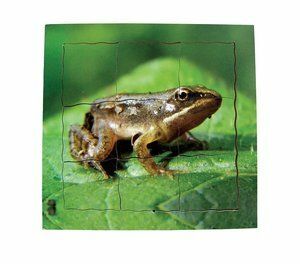 A variation of cards and counters: I printed those frogs counters from here and used them with the numbers from a Melissa and Doug jigsaw. I’m all for repurposing toys and using them in various ways. 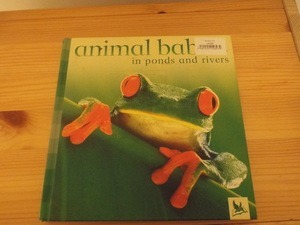 I also made paper puppets from here too to sing 5 Little Speckled frogs. 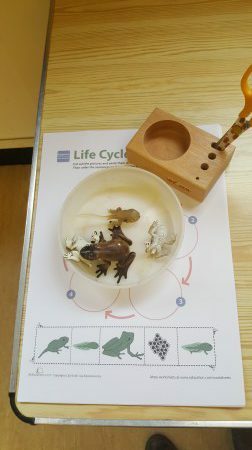 And we worked with those replicas of frogs life stage to explore life cycles. The worksheet comes from here. More material that I am looking at buying next! 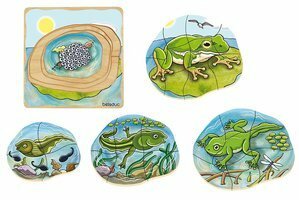 And a FREE life cycle of the frog printable for you! 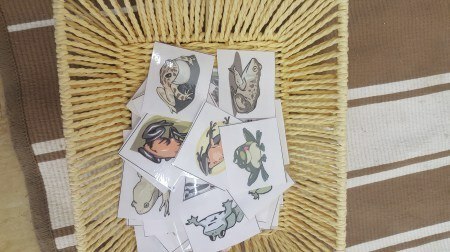 I also made a FREE printable, a 3 part cards with real pictures of the frog life cycle. Grab my printable on the link below. If you need more ideas, check my Pinterest board. I double check all the pins to make sure it goes to a simple activity and when relevant to a free resource.